For over 35 years, Raincoat Roofing has built an incomparable reputation as the trusted, “go-to” church roof expert for maintenance, replacement and emergencies. In fact, we support most of the Chicago Archdiocese churches and their roof-related insurance claims. We have worked on over 100 churches each year, every year. You can always count on Raincoat’s professional, highly skilled team to ensure quality workmanship to get jobs done right the first time. We build relationships based on our honesty, integrity and fair prices. Ice dams are often created by severe weather causing a layer of frozen water and snow above the roof. 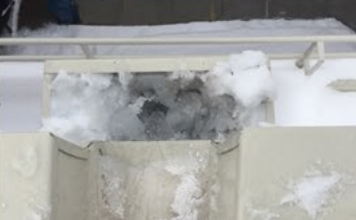 Because of heat rising on the interior of the building, the bottom layer of ice begins to melt and is trapped below the top layer of ice and snow. This free water has no where to travel and will create a multitude of damage for surrounding areas. Unique features of your church, synagogue, or place of worship can deteriorate faster when going unseen. Each place of worship, regardless of size and stature, is unique in its architecture and appearance. The smallest of roof leaks may make the beauty and solace of your interior turn to an eye sore. 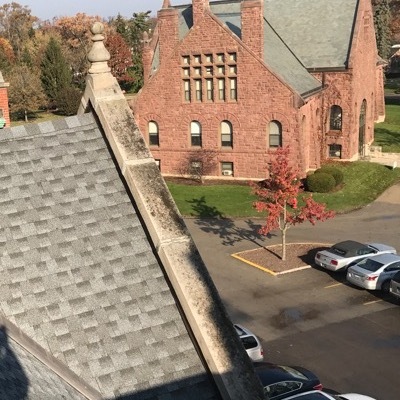 Raincoat Roofing has worked with every roof type; including steep slope shingled areas, chapel and cathedral vaulted areas, or a simple canopy covering a walkway to the entrance. 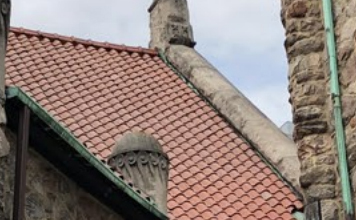 Raincoat Roofing understands the aesthetics looks of your place of worship is a sign of peace, and invitation to your community of members and non-members alike. 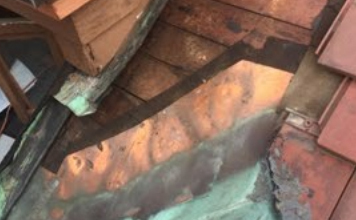 The smallest of sight of deterioration, whether a shingle is out of place from wind damage or a downspout was moved from a hard storm passing through, Raincoat Roofing has the unique ability to take any unsightly problem and return it to its original beauty. Raincoat Roofing understands that each church, synagogue, or place of worship is as unique as the message that is delivered inside. 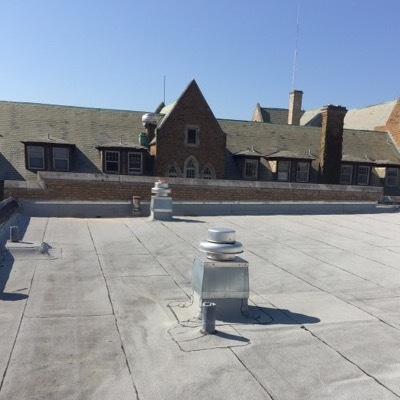 Our maintenance plans are customized and created to make sure that your building is treated with the utmost of care; preparing the exterior and roof are as above for the seasonal and weather changes of the Midwestern climate. Bi-annual inspections performed in the Spring and Fall seasons are designed to keep your community safe, dry, and warm. Raincoat continues to impress me with their honesty and thoroughness... and even reassure me about roof areas that are worry-free. For any church property in need of emergency roof service or repair, I highly recommend Raincoat as the go-to roofer. Raincoat absolutely deserves a perfect 10 out of 10 rating in my book. They were meticulous in their attention to detail to ensure the entire roof was safe and secure. 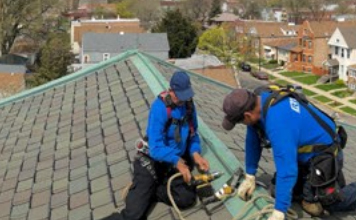 Scott Savage began Raincoat Roofing’s relationship with Lake Forest College in the mid 2010’s. Lake Forest College has been a historic educational institution on the North Shore of Chicago, founded in 1857, as one of the first higher education campuses in the Chicagoland area. Jeff Suess’ relationship with Dominican University started around the early 1990’s. Raincoat Roofing’s first project was to help retrofit a copper metal standing seam roof over the Library on the Main Campus. The campus has been located at its 30 - acre residence since 1922, where it was formerly known as Rosary College.